Condition: Just upgrade your A+ class pendant to max level! Get FREE 100 diamonds!! 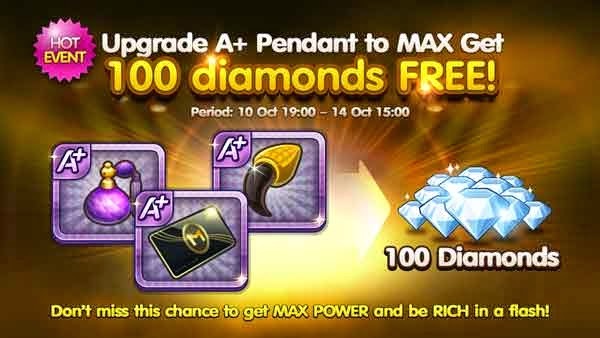 Don’t miss the chance to get MAX POWER and be RICH in a blink!